What do you, as a Puget Sound resident, need to know about bluffs, beaches and coastal geology? 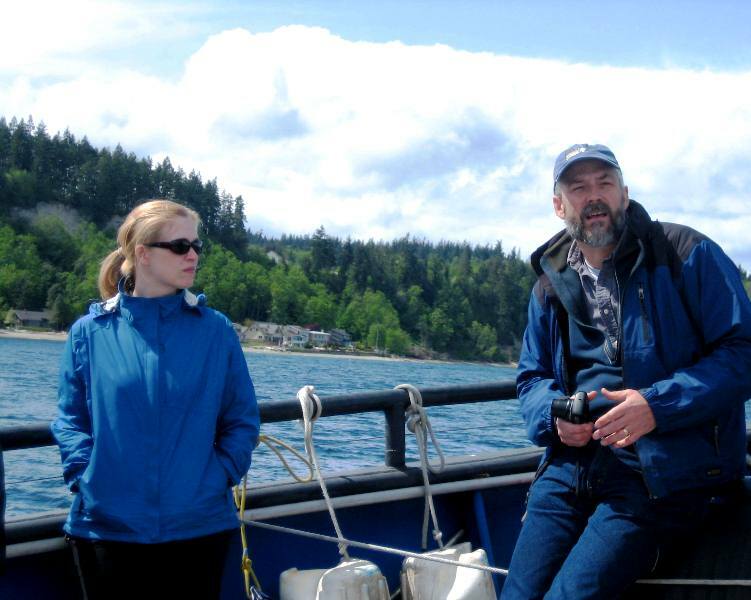 Hugh Shipman, a Coastal Geologist with the Washington Department of Ecology, is an authority on seaside bluffs and beaches. He knows the makeup and history of Puget Sound shores and seascapes like no one else. He can tell you all about the coastal geology of your nearby beaches and bluffs and what you need to know to help maintain them. Hugh is also the author of Gravel Beach, a blog about the geology of beaches. It’s one of my favorites. Not only does Hugh show his impressive collection of beach photos, but he also tells stories about each beach, with some history, some geology and some oceanography sprinkled in. Head over to Gravel Beach to enjoy some fine beach photos and get a sample of the kind of info Hugh has to offer. Anyone with the slightest interest in coastal geology. Anyone who owns a piece of beach. Anyone who lives near, or on, a bluff. Anyone who likes to go to the beach. Anyone who cares about the stability of those bluffs that tower over Puget Sound beaches. Anyone who would prefer not to see major chunks of land slide down across roads, railroad tracks and beaches each winter. Anyone interested in learning about the various kinds of stone, sand and clay they find on the beach. Anyone who lives on the Washington shoreline. Anyone interested in the Shoreline Master Program. Anyone who – like me – simply enjoys hearing Hugh expound on his favorite subject. He’s an entertaining speaker and an approachable expert. NOTE: Beaches and bluffs do not respect property lines. So if your neighbor is endangering your bluff or beach through bad management practices, do the neighborly thing and introduce them to Hugh Shipman and Gravel Beach, they’ll thank you for it.